16th of June 2016, FutureNow Ventures, Makati City - Takeda has launched its second meet up leading to the August 6 pitching competition. TechTalks.ph, the country’s pioneer startup ecosystem builder, was tasked to organize the meetup through its connection with the local startup community. Dr. Maria Theresa Mercado, Chairman for the Committee on Research in Philippine Society for Quality in Healthcare (PSQua), discussed quality in healthcare in a digital environment. Dr. Tess Dumagay from the Philippine Society of Hematology did a very informative session in the area of blood cancer. Both experts have provided insights into the nature of cancer and how this should be treated. Ms. Abby Encisa, Marketing Director for Takeda Healthcare Philippines, shared the company’s innovation and corporate social responsibility. Jerome Wang from Takeda Pharmaceutical based in Singapore was also in town to talk about the pitching competition details. He announced the extension for the deadline of application. That’s 27th June 2016. The main message from the meetup was - Takeda, a global pharmaceutical company wants to make the lives of cancer patients better, and they need our community’s help. Step up and be part of the bigger cause of using innovation in digital healthcare. 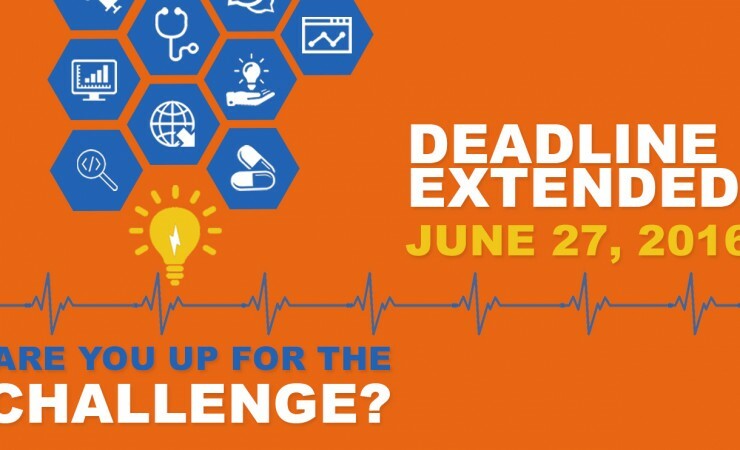 Join the challenge until June 27! Sign up here!